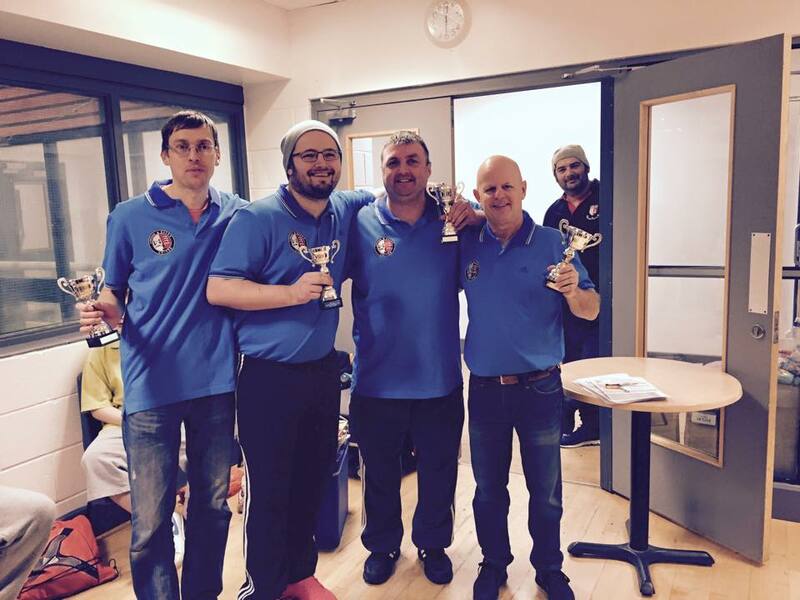 ESA’s first event of 2015, the Leicester International Open, had many players competing for silverware as London & Essex United captured the team title with a tense victory over Yorkshire Phoenix. 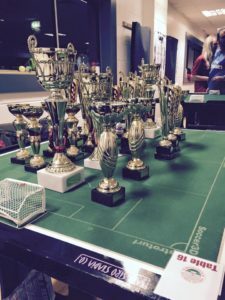 The 11 team event had some great games and plenty of goals as the teams battled for supremacy. 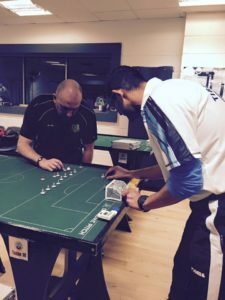 In the end the semi-finals saw 3 English teams in the last 4 as Kent Invicta lost to London & Essex Utd and Yorkshire Phoenix beat Scotland’s Tayside Kickers. The Final, although a low scoring affair, provided plenty of drama as London took the game 2-1 over their Northern rivals. 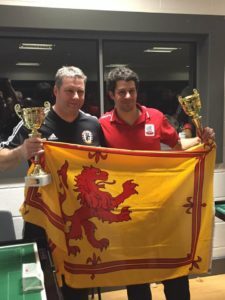 The Individuals provided some excellent play on the Saturday with Scotland’s Steve Bennett winning the Open 3-1 over Paulo Gouveia from Portugal. 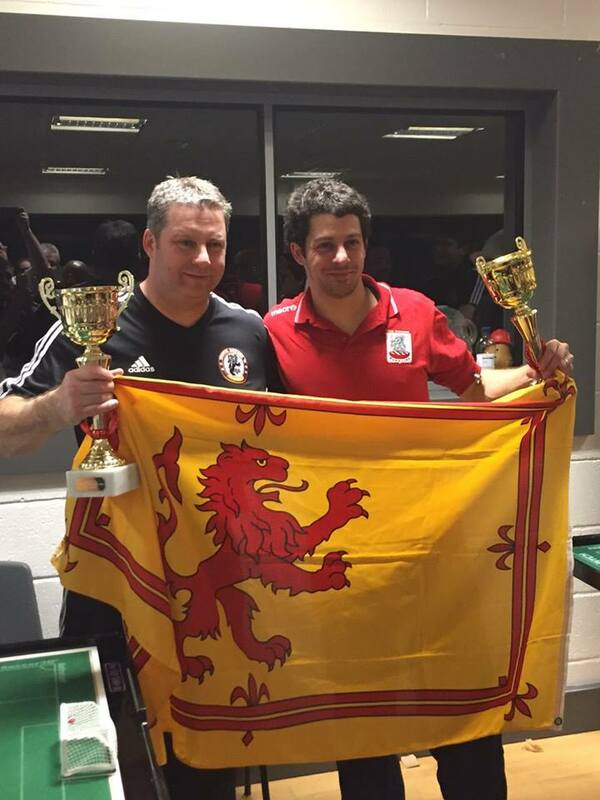 The Veterans final had the same finalists as last year with the Belgian, Daniel Scheen narrowly beating Spain’s Luis Mendez 3-2. 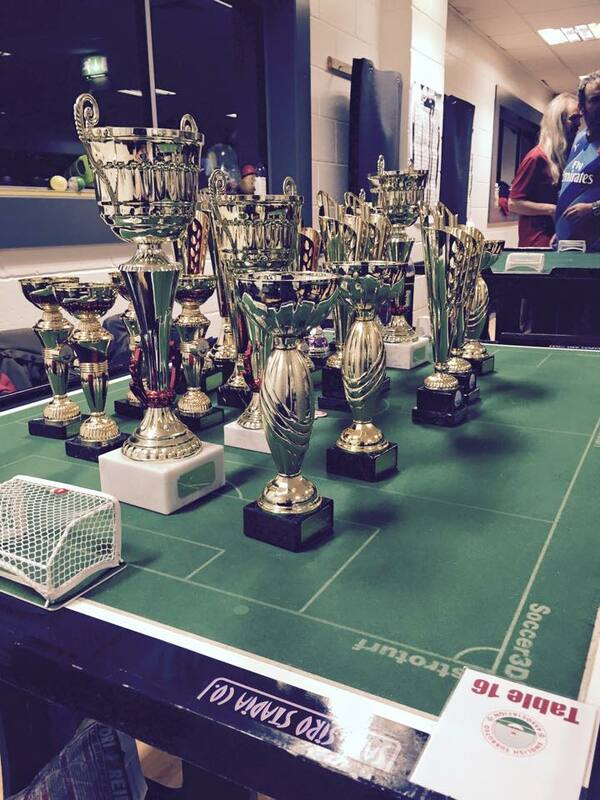 The youth categories were again keenly contested, providing great tournament experience for the younger players. It was an all English final for the Under 19’s as London’s Elliott Bellefontaine edged out Kent’s Christopher Bowen 2-1 on shots after a 1-1 draw. The Under 15’s saw the Belgium’s Noe Scheen in action yet again over his English rival, Kye Arnold from Kent. This was another close game finishing with Scheen winning 3-2 with a sudden death goal. 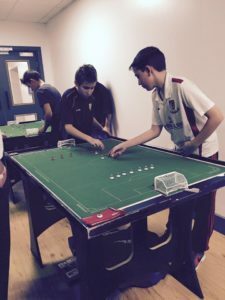 The Under 12’s had an all-England and Kent final, as finally, the impressive Joseph Kinrade won his first FISTF tournament title with a 2-0 win over teammate Thomas Price.